We are Triple K Angkor Co.,LTD the registered, leading travel company as well as the destination management company (DMC) based in Cambodia, offers private tailor-made luxury, classic, unique, group, sightseeing, bikes, cruises and adventure tours. Founded in 2011 by 3 Cambodian brothers whose names begin with “K”, the brothers have deep passion in tourism, traveling and long well-featured backgrounds from working in hospitality industry in Cambodia. Until then, they’ve owned some tourism businesses including Memoire Group, Triple K Restaurant, Transportation Supplier and so on. At the first stage, Triple K Angkor Co.,LTD only began supplying transportation/tour guide services to some remarkable hotels in Siem Reap, Cambodia. Not taking longer, the second stage appeared “Triple K Restaurant” regardless Memoire Group in the following and the third stage was successfully established “Triple K Angkor Co.,LTD” in 2015, and started to develop the entire operations, tour productions, marketing/sales as well as featuring the brand by serving tour quality to hundreds of travelers. Triple K Angkor Co.,LTD is officially launched in Cambodia only, apparently means we’ve closely worked and collaborated travel businesses with our local DMCs in Vietnam, Laos, Thailand and Myanmar whenever we organize multi-country tours for our clients who don’t want to bother much on wasting time to search for the right tours or dealing with many travel agents. 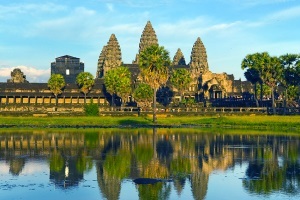 With Triple K Angkor Co.,LTD, we put together well-designed tour itineraries or get your personalized custom-made tours. You don’t have to worry the overprices, you are inspired to compare our private tour prices with others because we only do little markup from 5% to 8% for our service charge for multi-country tours and 9% to 12% for single country “Cambodia Tours“. 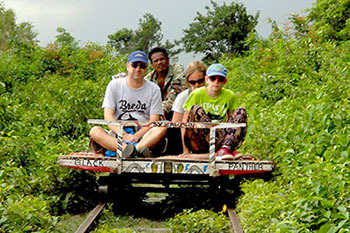 We DON’T obviously provide join-tours in any forms to get low rates for our clients and at the last of the journey we ended complaints because the join-tours can NOT cater everyone’s taste. All of our designed, private tailor-made tour packages provide plenty of flexibility, 100% free hassle to make sure that you satisfy with the journey. It doesn’t matter you wish to switch around the sightseeing activities or even you can skip it in the last minute whenever you are on the tours. You have your own private tour guide and driver who will be looking after you, they’re more than happy discuss to tailor the itinerary to meet your requirement, and all of our tour guides are well trained, licensed and they will NOT force you to follow the dotted itinerary or try to shorten the program if you are not willing to skip it. All tour services are definitely offered as we mentioned in the itinerary and there is no hidden cost. With our expertise, we always recommend our customers a cluster of selected hotels, boutique resorts followed by great rating reviews on TripAdvisor. Those hotels/resorts have beautiful lush gardens, nice swimming pool, fully facilitated and well-cared customer service. You don’t have to worry much about your accommodation whenever you travel, you will have plenty of proposed options and you can decide to book it with us when you are satisfied. Unfortunately, we don’t provide hostels, domes and other accommodation are not comfort, and unsafe. 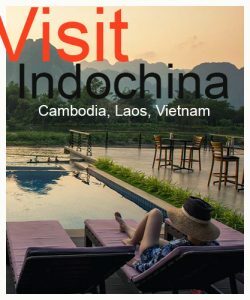 Wish to become the best tour operator in Indochina. 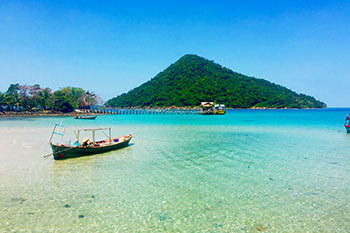 Our goal is to provide the top, excellent tour quality as well as becoming the greatest destination management company in the major tourism in Asia. Triple K Angkor’s core values are to share our experience with the team and our customers to let them having real time to enjoy what they desire when they want. Delighted to receive all feedback openly to develop the services, product knowledge, quality and taking opportunities to attend social event & activities to promote the local culture, tourism, heritages as well as share our knowledge to allow people to understand why tourism has become the major part to develop a country and its negative impacts to the country. 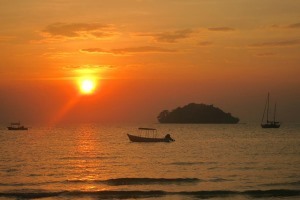 Our mission is not only commit to provide the high quality to satisfy our clients, create unique tours or keeping the consistent services but we also provide our team the opportunity to challenge something new, we share our knowledge and strengthen our team through training, practicing and participating. We take a role in responsible tourism to deduct the impacts as much as we can.